This multi-zipper leather biker jacket features patchwork, studs and chains. 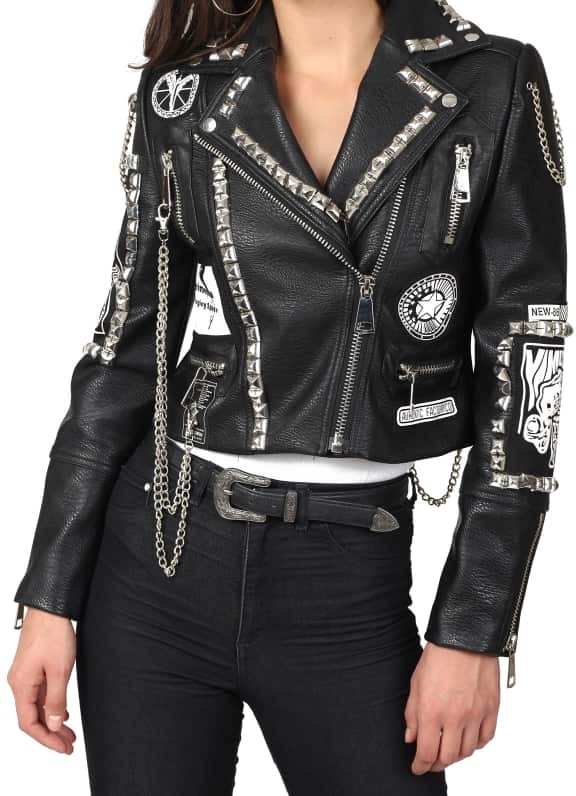 Biker chic just got a new definition with this studded leather jacket. Throw this leather jacket over a jumpsuit and complete your look with a pair of Micare earrings.